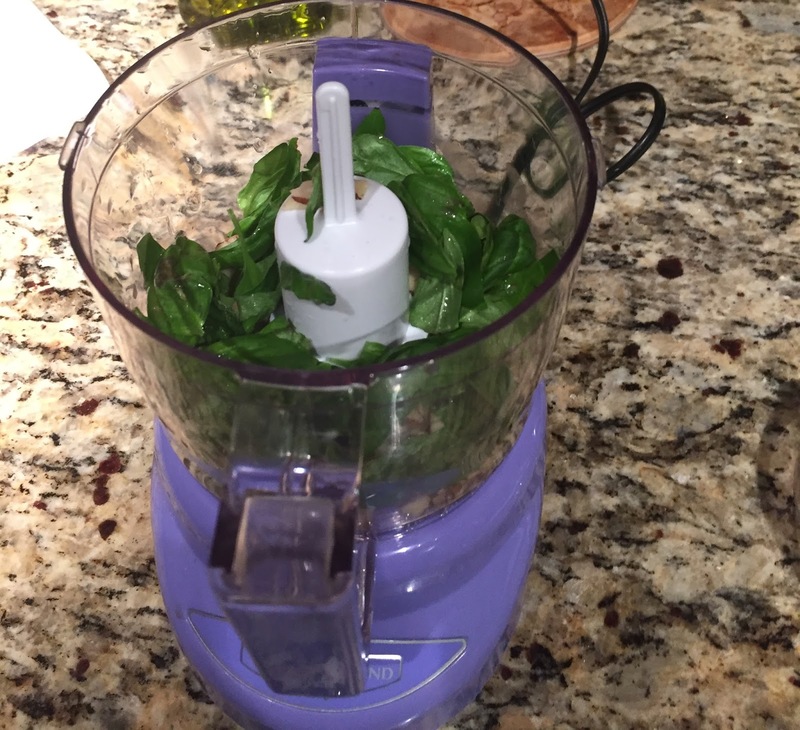 So instead I like to make my own pesto sauce with my own basil plant! I found a recipe online for the basics but decided to change it up a bit and it turns out it’s not too bad! It is very easy and delicious! 1. 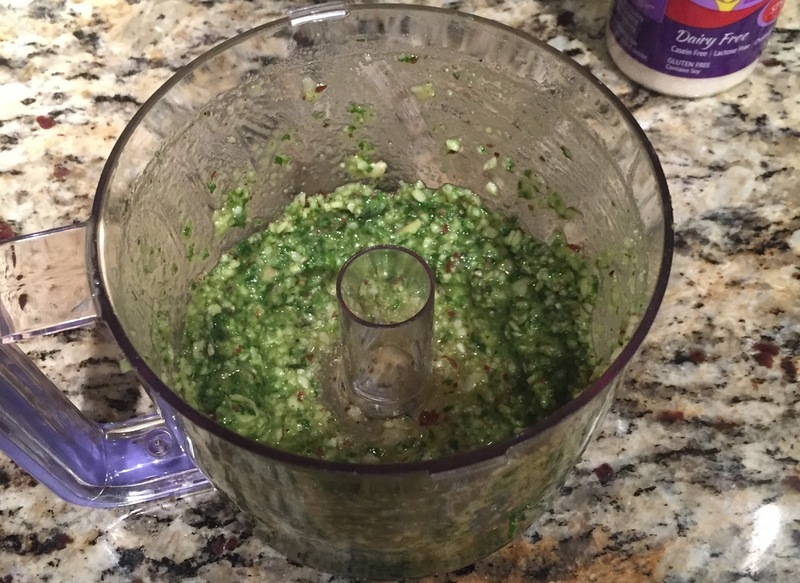 Add all ingredients into a food processor and blend until leaves and almonds are chopped up. 3. Cook your pizza and enjoy!